Yu "Ggoong" Byeong-jun (Hangul: 유병준) was previously a mid laner for VSG. Yu "Ggoong" Byeong-jun joined NaJin Shield as the new starting mid laner on June 21, 2013. He played in his first OGN ever at HOT6iX Champions Summer 2013 where his team made it to the quarterfinals but lost 3-0 to CJ Entus Frost. The season kicked off with Shield attending PANDORA.TV Champions Winter 2013-2014 where they made it to the semifinals but lost 3-1 to Samsung Ozone then 3-1 to KT Rolster Bullets ultimately taking 4th. Next, they went to HOT6iX Champions Spring 2014 where the team made it all the way to the finals but fell 3-1 to Samsung Blue. The final OGN of the year was HOT6iX Champions Summer 2014 where Shield made it to the quarterfinals but lost 3-2 to the KT Rolster Arrows. Shield earned enough circuit points to enter the 2014 Season Korea Regional Finals as the 5th seed. They blazed through the tournament, going a combined 9-1 after a crushing 3-1 finals against SK Telecom T1 K to take the last seed for the 2014 Season World Championship. At Worlds, they took first seed in the group but got rocked 3-0 in the quarterfinals by OMG. Changes to the OGN rules forced Shield and their sister team, NaJin Black Sword, to merge to form NaJin e-mFire. Ggoong was given the starting position with the departure of Sword's mid laner KurO. However halfway through SBENU Champions Spring 2015, TANK joined the team and shared the starting mid lane spot with Ggoong. NaJin played poorly in Champions and placed sixth overall for the season. NaJin placed fifth in the regular season of SBENU Champions Summer 2015 and qualified for the playoffs but they lost in the first round 2-1 to the KOO Tigers. They earned enough circuit points to make it to the 2015 Season Korea Regional Finals but lost 3-0 in the first round to the Jin Air Green Wings. NaJin played in the 2015 LoL KeSPA Cup where they lost 2-1 to Rebels Anarchy in the first round. Ggoong did not play in this tournament. Ggoong left NaJin in November and joined ZTR Gaming in China in December. ZTR had poor results in the LSPL throughout 2016. In the 2016 Spring Season they finished 8th with 15 wins and 15 losses. Their Summer Season was a little better and they finished 6th with 14 wins and 12 losses. It wasn't enough for them however to make it into the playoffs. Ggoong joined DAN Gaming in December of 2016 and qualified with them for the LPL via the 2017 Summer Promotion. Their first season in the LPL didn't go so well as they finished 6th place in their group with 4 wins and 12 losses. They also participated in the 2017 Demacia Cup but finished 13th-20th after an 0-2 loss to LGD Gaming. Shared the Season MVP of HOT6iX Champions Spring 2014 with Dade with both having 850 MVP points. 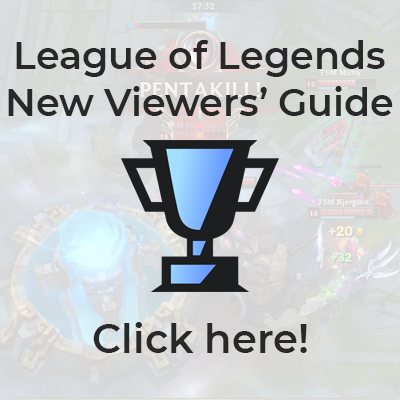 Click here for a full list of pentakills by all players. This page was last edited on 17 April 2019, at 00:22.